If you are not able to make your tour due to bad weather, please inform us in advance on officialtours@experienceoxfordshire.org and we will do our best to offer you another tour another time. 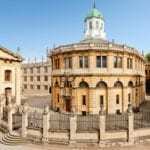 On your tour, as well as seeing some of the oldest colleges and most famous University buildings from the outside – including the Radcliffe Camera, Bodleian Library and Old Schools Quadrangle – your Guide will take you on a visit to one of Oxford’s world-famous colleges, when available, to see its quadrangles, chapel and beautiful gardens. The college entrance fees for these visits are included in the price of the tour (the college choice is subject to availability on the day – all colleges are places of work and study and on certain important days in the life of the University, all the colleges reserve the right to close as they are in use for student Open Days. On Degree days and Exam days you can look out for graduate students in their gowns and mortar boards! 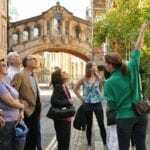 With your expert Guide showing you around the ancient colleges and cobbled streets, you will be entertained on the way with anecdotes about the many famous characters and academics who have walked down these lanes in times gone by. 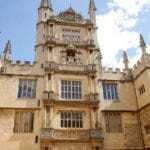 Even if you are already familiar with Oxford, there’s likely to be something new to learn about this City on your tour. You will hear about what student life is like today, as well as what it was like centuries ago when the colleges were first founded. 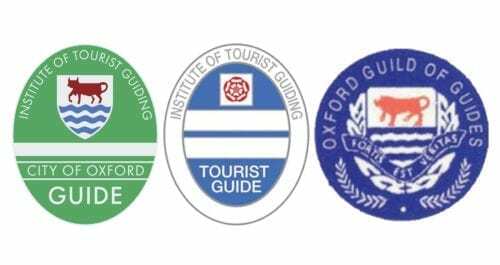 Your friendly, knowledgeable and enthusiastic Guide will be highly trained and professional and will be wearing a Blue or Green Badge awarded by the Institute of Tourist Guiding. 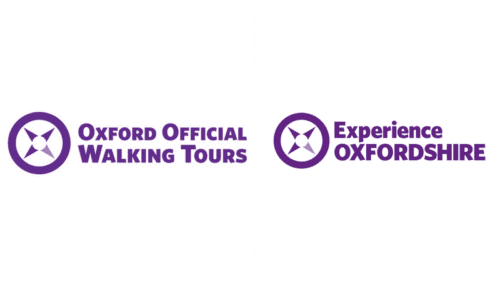 Your Guide will also be a member of the Oxford Guild of Tour Guides. 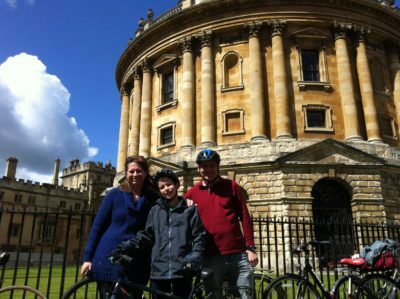 They will be happy to help with any questions and also to advise on what else you might like to see as part of your stay in Oxford. You can buy tickets in person on the day at the Visitor Information Centre but because sometimes tickets sell out quickly, we suggest booking in advance which you can also do either by phone 01865 686 441 or online. (If you think you might be delayed, please book for a later tour as we are unable to contact the guide once the tour has departed). On booking online, you should receive a payment confirmation from SagePay, a Booking Confirmation from EO and also an eTicket by email – please check your spam folder if these don’t arrive straight away, or whitelist info@experienceoxfordshire.org. Please see Additional Information for more advice. If you’d like to buy Vouchers for tickets as a present, please call us on 01865 686441.We can take card payment over the phone, and all the recipient needs to do is call us up to book when they’re ready! 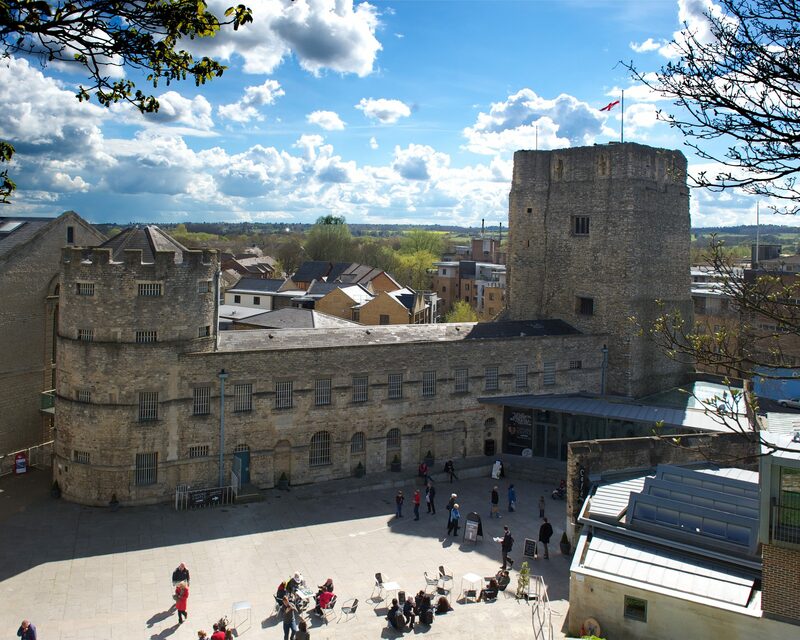 Your 2-hour tour will cover 1.5 – 2 miles walking (stopping every so often to admire the architecture and learn about the quirky university traditions) and not travelling further than a 10/15 minute walk away from the City centre and Visitor Information Centre. Guide dogs are welcome on all tours. Unfortunately, other dogs and pets are not allowed. Children under 16 are welcome on this tour but must be accompanied by at least 1 adult per two children. Children under 5 go free but tickets must be booked for them (as college count everyone and have strict limits on numbers). Pushchairs may need to be left (at the owner’s own risk) outside the Porters Lodge. The City centre is very flat and walkable – however, some of the most ancient colleges do have steps. 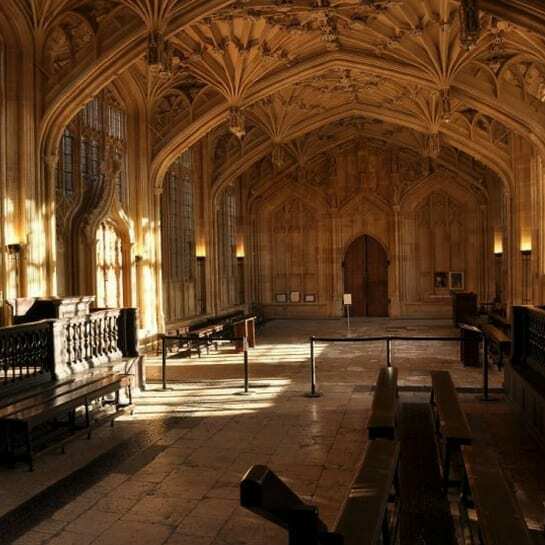 If you have any mobility difficulties, please let us know in advance by phone on 01865 686 441 or email officialtours@experienceoxfordshire.org before you book, so that we can arrange with the guide ahead of the tour how to best accommodate you. If you would like to book a mobility scooter from the Westgate Shopping Centre please see https://westgateoxford.co.uk/your-visit/facilities. 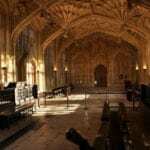 While we do our very best to include a visit inside the Divinity School and a College, sometimes on important days for the University such as Degree Days and Exam days, this is not possible as these buildings are in use. On these days you can look out for students in their gowns and mortar boards! 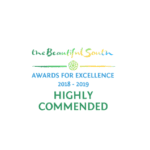 On booking you should receive a Sagepay payment confirmation, a Booking Confirmation and an eTicket by email – if not, you can present your Sagepay payment confirmation on your phone or you check your spam filter or whitelist us at info@experienceoxfordshire.org. For more details, and full t’s and c’s please see Additional Information. 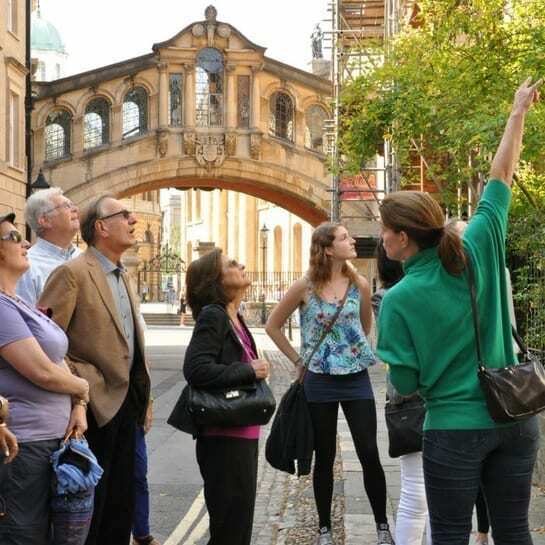 Save money with Oxford Official Walking Tour Tickets combined with other Oxford City Attractions – these can be booked in person at the Visitor Information Centre. Tours go ahead whatever the weather, however, we do advise you to come prepared and warmly dressed for winter, prepared for rain whatever the season with comfortable footwear. 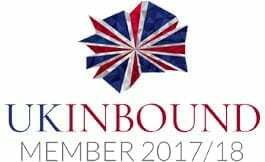 If you would like to buy tickets for this tour as a present, please call us on 01865 686 441 and we can arrange an eVoucher for you, which is payable by credit/debit card. We recommend the Park and Ride service. 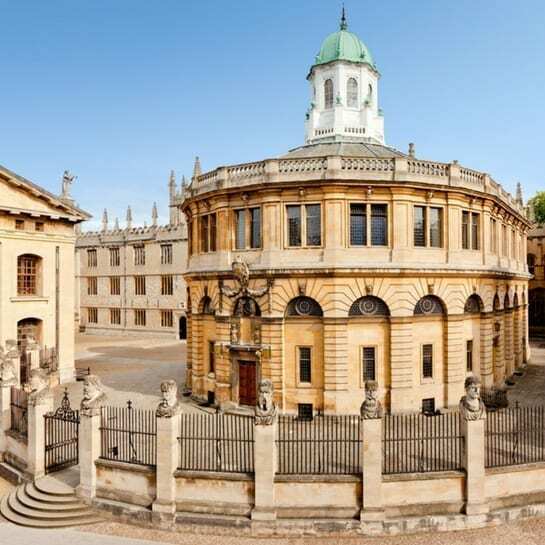 The nearest site will be signposted on your entry route to Oxford and the buses leave regularly. 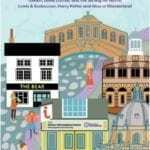 Please allow at least 20 minutes for the journey into the City Centre and ask for the stop nearest to the Visitor Information Centre in Broad St. For more parking information please see https://www.oxford.gov.uk/parking. 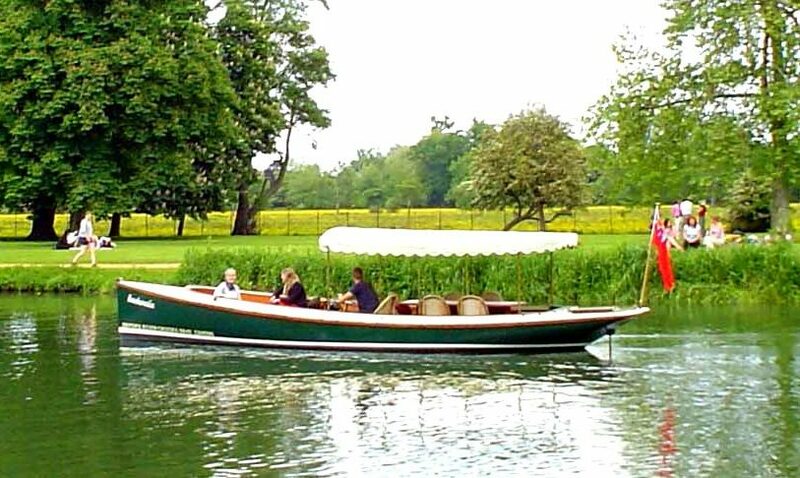 For details on how to book this as a private tailor-made tour on this or a combination of themes, for yourself or family and friends, please call us on 01865 686 441 or see our Private Tours page. 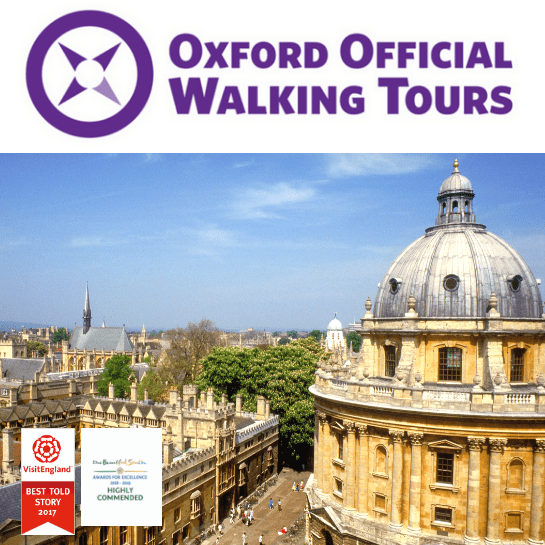 Groups can also book over the phone or by email at officialtours@experienceoxfordshire.org. 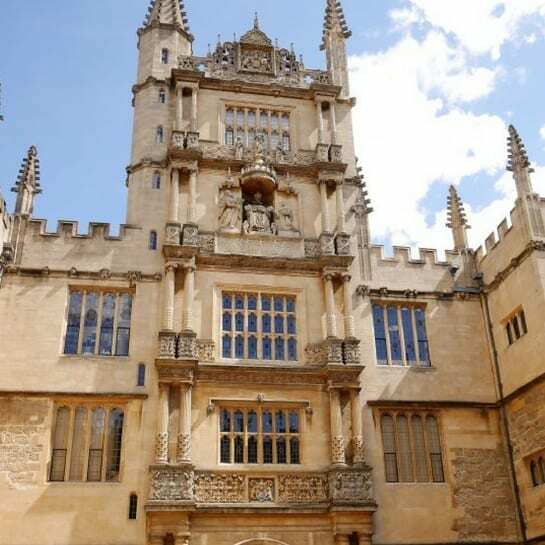 Please arrive at the Meeting Point outside the Visitor Information Centre (15-16 Broad St Oxford OX1 3AS) 10 minutes early (as we are unable to contact the guide after the start of your tour). Please call us on 01865 686 441 if you have any problems on the day of your tour. On booking you should receive a Sagepay payment confirmation, a Booking Confirmation and an eTicket with full t's and c's. Please bring a print out or an electronic copy of your eTicket with your to join the tour – or if this doesn't arrive for any reason, please bring your Payment Confirmation from Sagepay which you can show us on your phone. 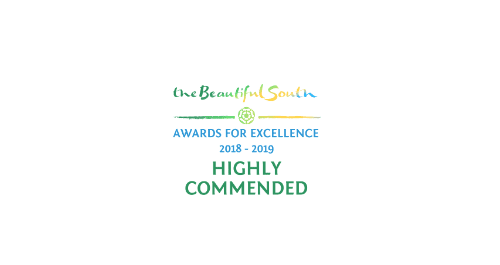 Please note, hotmail addresses for some reason are not responding to our email confirmations – please use another address if possible or whitelist us info@experienceoxfordshire.org . The booking will be registered under the Cardholder's name. The booking is non-transferrable and non-refundable. Your tour tickets are valid for the date and time booked only. Children under 16 are welcome but must be accompanied by an adult (maximum 2 children per adult). Infants under 5 go free but tickets must be booked for them. Please note that pushchairs may not be admitted to a college and may need to be left outside or at the Porters Lodge at the owner's own risk. Wheelchair users are welcome on all of our tours. As access to some colleges may be restricted (due to the age of the buildings) please call us before you book on 01865 686 441 so that we can try to ensure that the college is wheelchair accessible. Only Guide Dogs are welcome on all tours. Every effort is made to ensure that a college visit can be included on your tour – and most days this is possible. Colleges are working institutions and all reserve the right to close on the day and also for important days in the life of the University such as Degree, Exam and Open Days. On these days look out for students in gowns and mortar boards! Your printed tickets entitle you to a 10% discount on any merchandise (excluding other tickets) on sale in the Visitor Information Centre. Guide Dogs are welcome on tours. Unfortunately other and dogs and pets are not allowed.